I think most of us enjoyed Thai food for it delicious and fragrant dishes. What do we know about Thai food? Thai cooking lightly with strong aromatic ingredients. As we all know most of their dishes contain sour, sweet, salty, bitter and spicy. Thai food is not about simplicity but Its about juggling all the element to create harmonious finish to every meal. Most of us may think its a hassle but if you want to cook Thai food you have to follow the right instruction for you to get the exact flavors. Making your own green curry paste would be a great choice than buying the ready made. I've tried the ready made but I find the smells aren't strong as how you make your own paste. Preparing your own paste is not that hard actually. 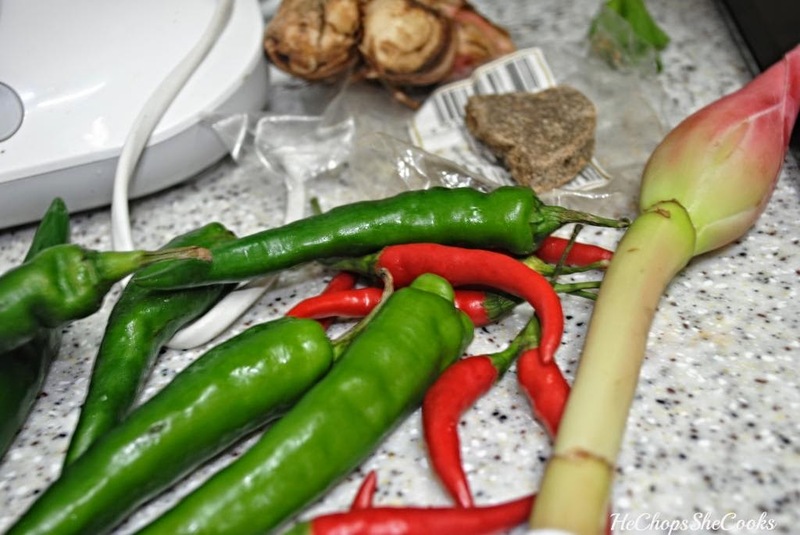 All you need is fresh lemongrass, green chilies, shallot, garlic, galangal fresh coriander leaves, ground coriander, ground cumin, ground white pepper, fish sauce, shrimp paste, brown sugar and lime juice. 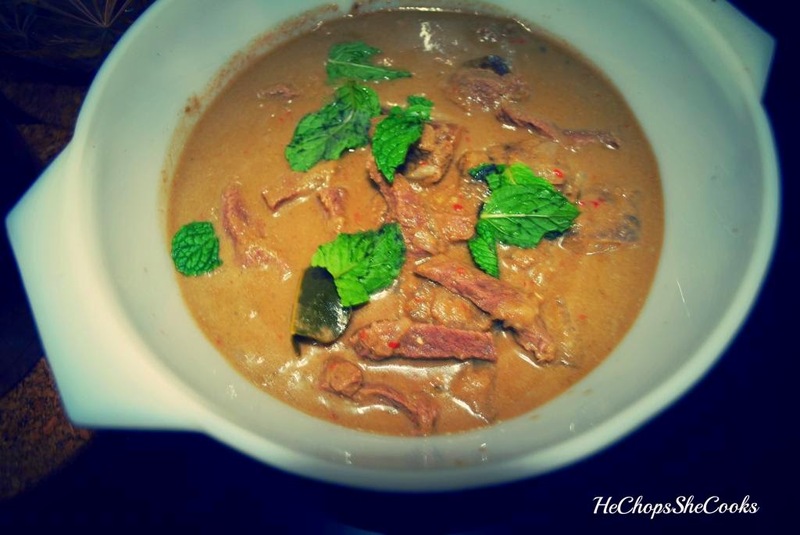 I made this beautiful Thai- green curry beef with eggplant! It was a WOW to my guests and they enjoyed their meal with us. 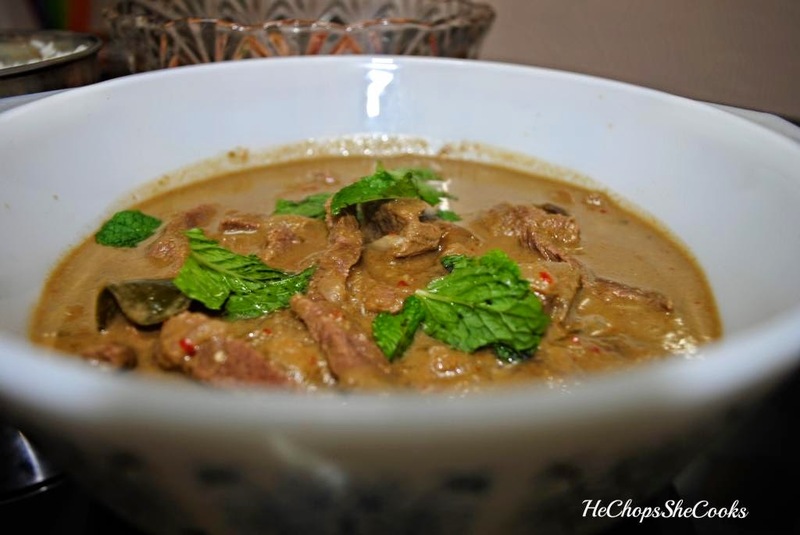 This fantastic beef curry recipe features tender, thinly slices pieces of beef simmered together with eggplants and chilies. The homemade paste make your dish to perfection, so skip the store bought! oh and don't forget the basil..top it with fresh basil and you can enjoy this meal with your warm rice..
Place all paste ingredients together in a food processor, blender, pestle or mortar. Add up to 1/4 can of the coconut milk, enough to help blend ingredients. 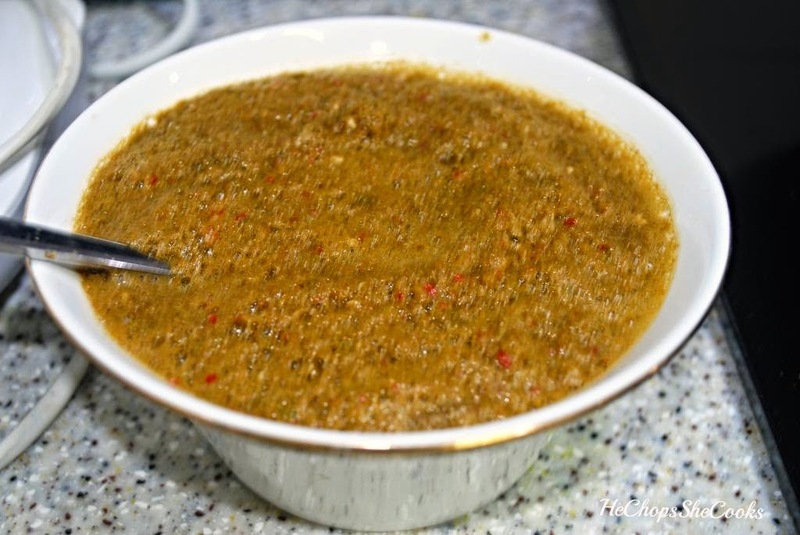 Process well to create an aromatic green curry paste. If you don't have a food processor or chopper: try using a blender. Heat a wok or deep frying pan over medium-high heat. Add 2-3 Tbsp. oil and swirl around, then add the green curry paste. Stir-fry briefly to release the fragrance for 2 minutes, then add the beef. Stir-fry briefly to cover meat in spices. Add the stock and bring to a boil. Stir and reduce heat to medium or medium-low. Simmer 6-10 minutes. Set aside 1/4 cup coconut milk, reserving it for use later. Add the rest of the coconut milk to the curry, plus the eggplant . Stir everything together, cover, and simmer another 7-8 minutes, or until eggplant is tender enough to pierce with a fork. Add the bell pepper. Cover and simmer another 2-3 minutes, or until everything is well cooked. Remove from heat and gently stir in the 1/4 cup reserved coconut milk. More chili can also be added. Portion out the green curry onto serving plates or bowls. Sprinkle with a generous amount of fresh basil and serve with warm rice.